This study investigated the endophytic fungi diversity of Taxus chinensis and screened the taxol-producing fungi in the host. A total of 115 endophytic fungi isolates obtained from bark segments of T. chinensis were grouped into 23 genera based on the morphological traits and sequence analysis of the internal transcribed spacers (ITS1-5.8S-ITS2), indicating endophytic fungi in T. chinensis are diverse and abundant. Diaporthe, Phomopsis (anamorph of Diaporthe), Acremonium, and Pezicula were the dominant genera, whereas the remaining genera were infrequent groups. The 13 representative species of the distinct genera were capable of producing taxol verified by reverse-phase high performance liquid chromatography (HPLC). 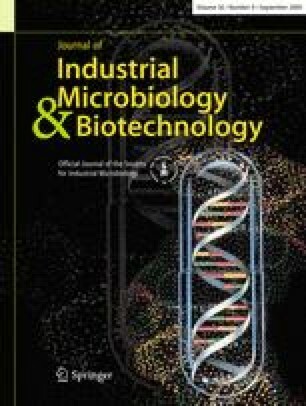 Among the taxol-producing fungi, the yield of taxol produced by the Metarhizium anisopliae, H-27 was 846.1 μg l−1 in reformative potato dextrose liquid medium, and the fungal taxol was further validated by mass spectrometry (MS). The taxol-producing fungi (92.3%) were infrequent communities, suggesting that infrequent fungi associated with T. chinensis might be a fascinating reservoir of taxol-generating fungi. The work was co-supported by funds from the Shaanxi Educational Committee (08JZ21, 08JK244, and 08JK248) and partially financed by grants from Shaanxi University of Technology (SLGQDO712, SLGQDO713). We are grateful to Dr. Alan T. Bull and the anonymous reviewer for their helpful comments on our manuscript.